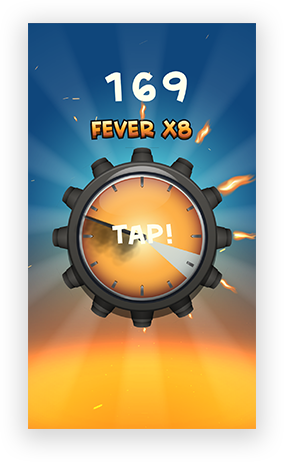 Get a quote to build a fast paced one tap game! 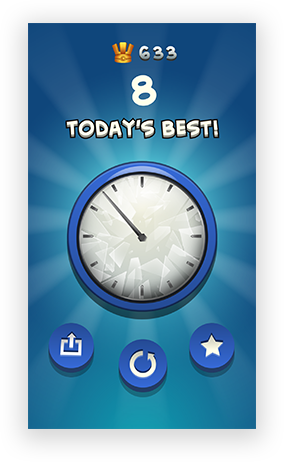 Time flies when you are having fun & Tap O’clock is the best addictive game to engage & destress you. For an ultimate entertainment experience, Tap O’ Clock was developed by ChicMic for a client from the US. 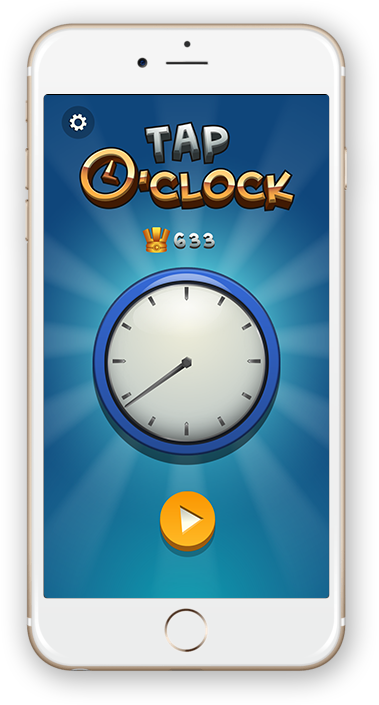 With the fast-paced challenges, this amazingly built time management game has a clock dial as its playing area. 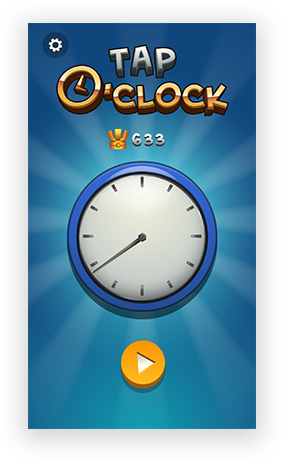 The game begins by tapping various intervals on the clock in Green, Yellow, Orange & Red colours to score points. With every tap, the user will get bonus points 1,2, 4, 6 and 8 respectively. 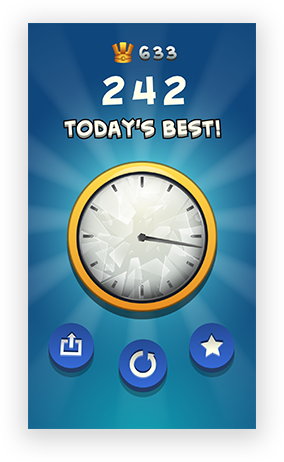 By tapping the targeted zone with the blue background, bonus round starts & allows users to make tons of points quickly. How Does Tap o’ Clock work? The game revolves around a Perfect Wedge Interval in its centre. A click on the particular area will take you to another interval with a different colour theme. 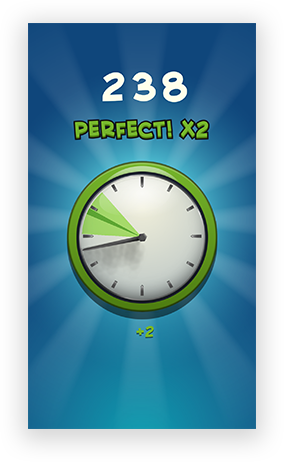 When the user will miss the two chances on the Perfect Wedge Interval for a specific colour, the game will stop & the sequence will repeat again starting from the green colour. We started with the 3D version of Tap O’Clock as per the requirements. However, the game needed to be simple yet still be fun to play keeping the users always engaged. The initial 3D gameplay was based on 3 clocks embedded on three faces of the cube which killed the game-play as it was getting difficult for the user to pay attention at all the 3 clocks at the same time. This data was revealed in the user-driven A/B test and the decision was made to change the game to 2D. We realigned our focus from 3D to 2D version of the game keeping in mind our basic needs of making the game fun with engaging gameplay. 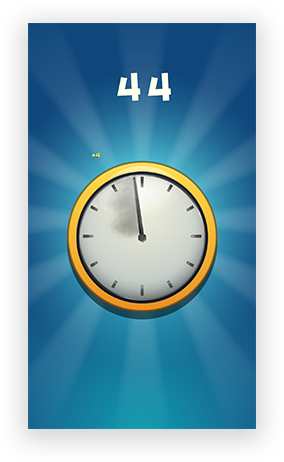 We transformed the interface from cube shape to round with a single clock feature with added difficulty in the core game-play which perfectly synced with the single clock face. And what we have is the game now on iTunes.